Landingi offers a fully-featured landing page editor to help you enhance your vision into a flawless landing page. With fabulous visual features and tools, the only thing left for you is to select the best of four available plans. The template section is very rich with a broad variety of themes for different types of niches, and the ability to integrate eCommerce functionality is also available. Add full customer support in English to all the features mentioned, and you’ve got the whole picture of Landingi! When it comes to the most important part of building a landing page, you have three options: (1) choose one of 200+ ready to use, well-designed templates, (2) import your own landing page file, or (3) create your landing page from scratch. Selection: If you want templates tailored for various goals and industries, you’ve come to the right place! No matter what plan you choose, you have access to every available template. Select the purpose of your landing page or your industry, pick the template, and start building! Choose from a variety of easy-to-use widgets for your landing pages, including some testing tools! See how you can improve your page with the split A/B testing function. Use the option to integrate forms into your page to collect leads, whilst the stats package will show you some critical results, such as conversion rates. 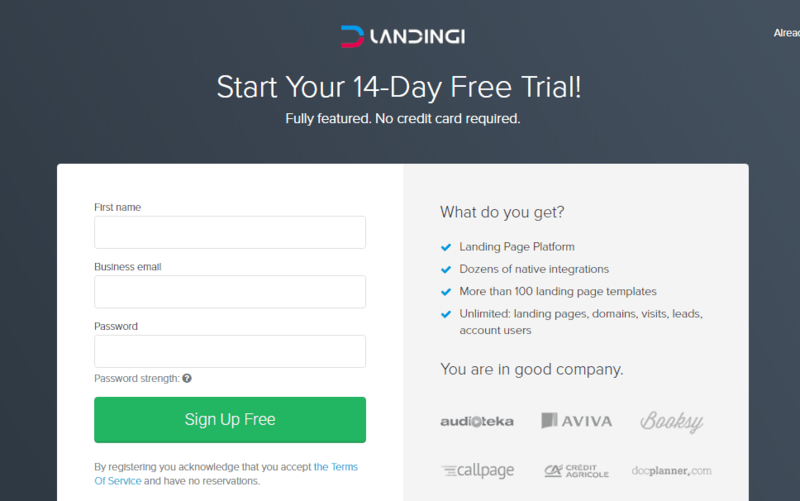 Landingi’s landing page builder is simple to use. All you need to do is drag and drop an element and then modify as needed. The editor allows you to customize your landing page by offering a lot of options, including adding Google Maps, social media buttons, different font styles, and other items. With its big buttons and large workspace, this builder is one of the most fun to use, and one of the easiest to create and implement. There is a decent amount of documentation, as well as a forum. While all support used to be available only in Polish, Landingi has now added English customer support as well. Wow – 50,000 Visitors At 1st Tier! Landingi offers an excellent entry price point for its services. All plans include 200+ templates, unlimited landing pages, visitors, and leads. When you move into the higher tier plans, you get additional features like A/B testing, split testing, popups, Zapier integration, and more. Landingi has cool visuals and offers many features on its Business plan, including increasing numerous visitors. With good functionalities, including third-party app integration and A/B testing, it has all advantages of a winner. Like Landingi Review? Visit Landingi.